Summary (from the back of the book): Before John Glenn orbited the earth, or Neil Armstrong walked on the moon, a group of dedicated female mathematicians known as "human computers" used pencils, slide rules, and adding machines to calculate the numbers that would launch rockets, and astronauts, into space. Among these problem-solvers were a group of exceptionally talented African American women. Originally math teachers in the South's segregated public schools, these gifted professionals answered uncle Sam's call during the labor shortages of World War II. With new jobs at the fascinating, high-energy world of the Langley Memorial Aeronautical Laboratory in Hampton, Virginia, they finally had a shot at jobs that would push their skills to the limits. 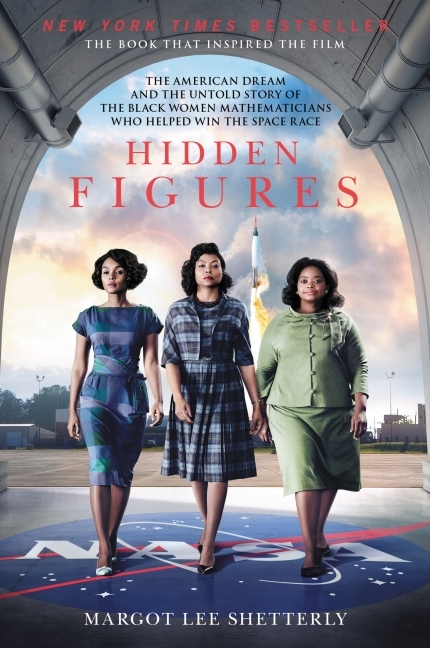 Starting in World War II and moving through to the Cold War, the civil Rights Movement, and the Space Race, Hidden Figures follows the interwoven accounts of Dorothy Vaughan, Mary Jackson, Katherine Johnson, and Christine Dardin--four African American women who participated in some of NASA's greatest successes. It chronicles their careers over nearly three decades as they faced challenges, forged alliances, and used their intellect to change their own lives, and their country's future. Review: I signed up for this tour before I knew that a movie was coming out in December. I knew I had to read the book before seeing the movie, but the trailer makes this look SO GOOD! 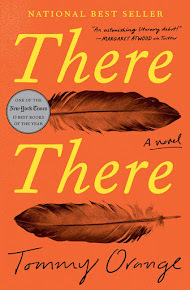 This is so my kind of book: non-fiction, but a really good story. Not just facts. I was so torn when trying to figure out what rating to give this book. Before I began, I wanted to give it a 5 out of 5 because the topic is so interesting and the timing is perfect. As I was reading I was thinking 4.5, but I ended up giving it a 4 simply because I felt like there was too much detail for me. That doesn't mean there is too much; just too much for me. That said, I found the story of these women, the "computers," fascinating. It is incredible that in the 1930s and '40s black women received an education that was good enough to get them to Langley. I don't mean that in a disparaging way to the women! They were obviously super intelligent and should have been engineers from the beginning. But, in Virginia at that time, schools for African-Americans were sub-par and college for women, let alone African-American women, was not exactly at its peak. The women in this book had intelligence, ambition, support of their families, and they didn't take no for an answer. I love that! I hope girls throughout the United States (and elsewhere) see the movie "Hidden Figures" and get inspired. Yes, I want them to read the book, but it's definitely written for adults, and little girls aren't going to read it. I hope girls realize math and science are for them, not just boys, and that we can enter these fields and make a difference. My mom should have been one of these women. She has that mathematical/physics brain and would have thrived intellectually given the chance.